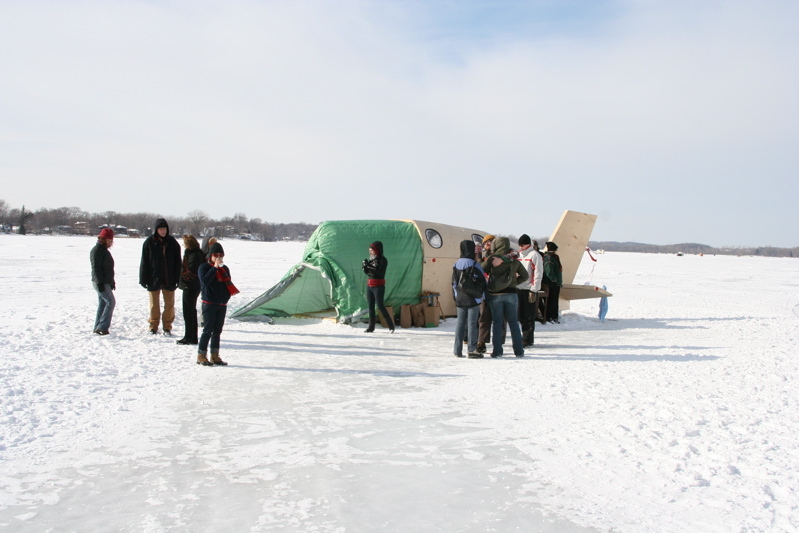 The Survival shanty project was a collaboration between Sam Soule, Brennan Vance, Katinka Galanos, Pete McLarnan, and Hunter Jonakin. It was part of the larger Art Shanty Project sponsered by the Minneapolis art gallery, the Soap Factory. 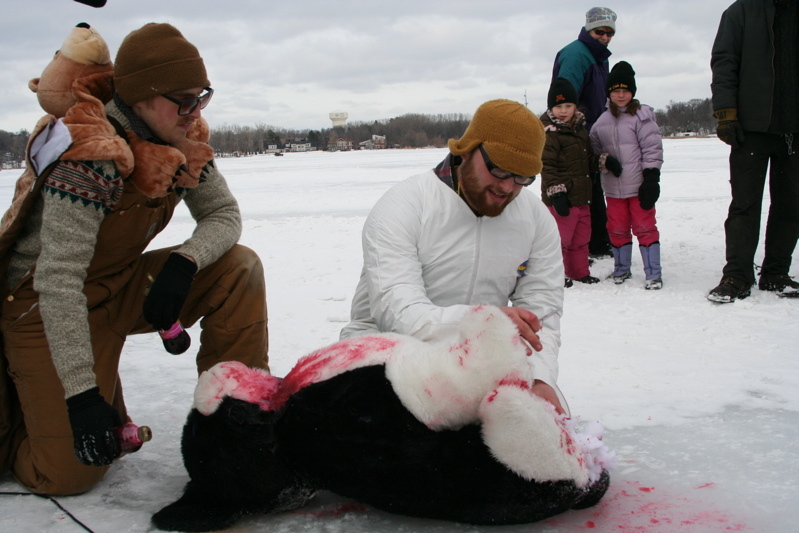 The event took place on Medicine Lake, which is located just outside of Minneapolis, MN, and lasted from early January until mid-February. Click here for the project blog. 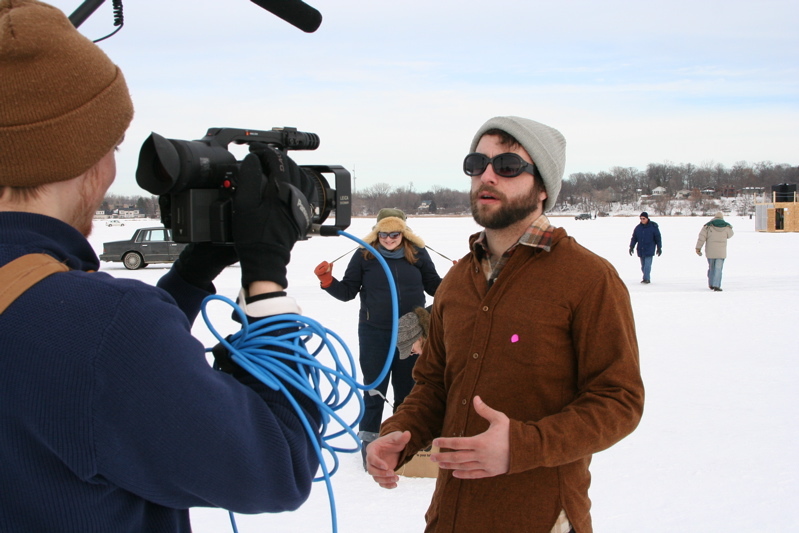 Brennan Vance films Pete McLarnan as he explains how to survive in harsh winter conditions. 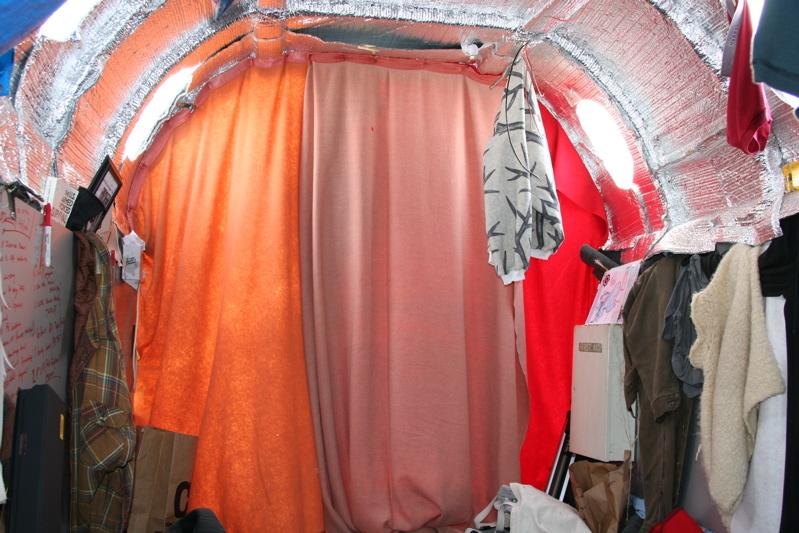 Katinka Galanos warms herself inside of the airplane fuselage-shaped shanty. Sam Soule gives a demonstration on how to trap and slaughter an animal, in this case, a toy stuffed cat, as Brennan and several small chidren look on. Interior view of the shanty. 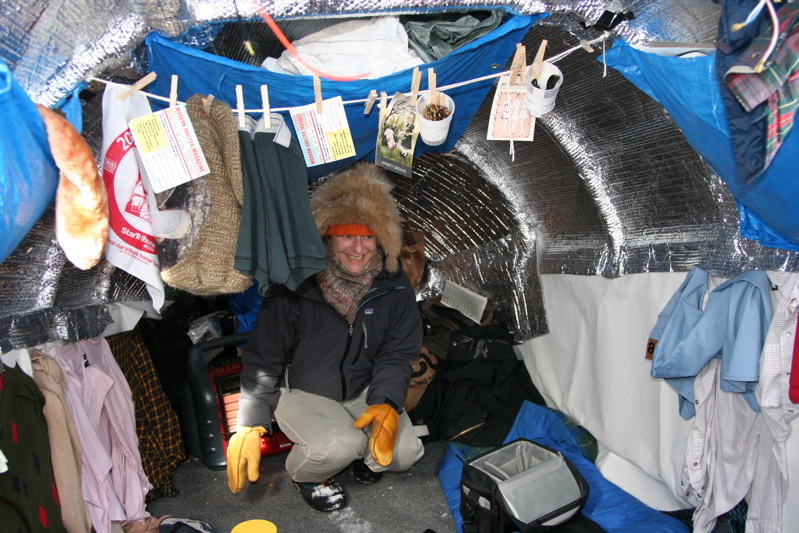 The entry was insulated with many layers of clothing and blankets in order to keep the arctic air at bay. University of Minnesota Professor, Jan Estep reads an essay while others listen. Brennan Vance gives a survival lesson on how to keep your spirits up in a time of distress. 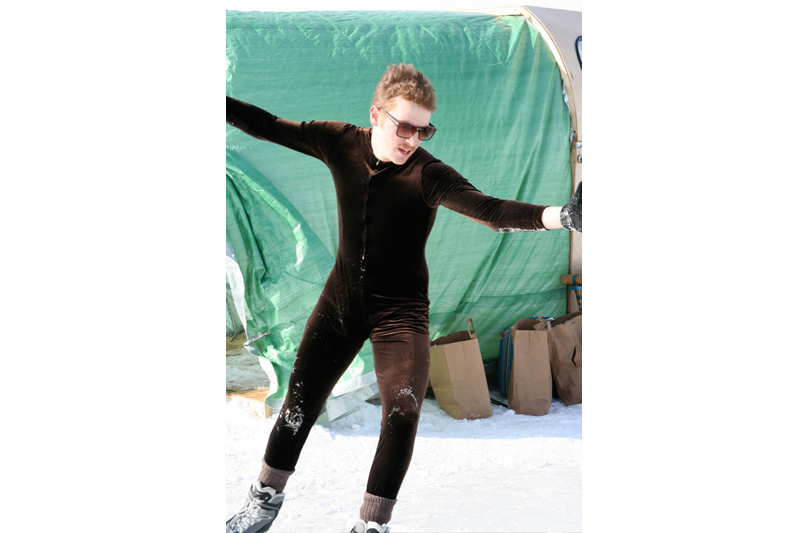 He illustrates his theory by figure skating near the shanty. In the third week of the project someone abandoned an old piano beside our shanty. Although out of tune, many visitors provided hours of entertainment attempting to play the piano while wearing their gloves and mittens. 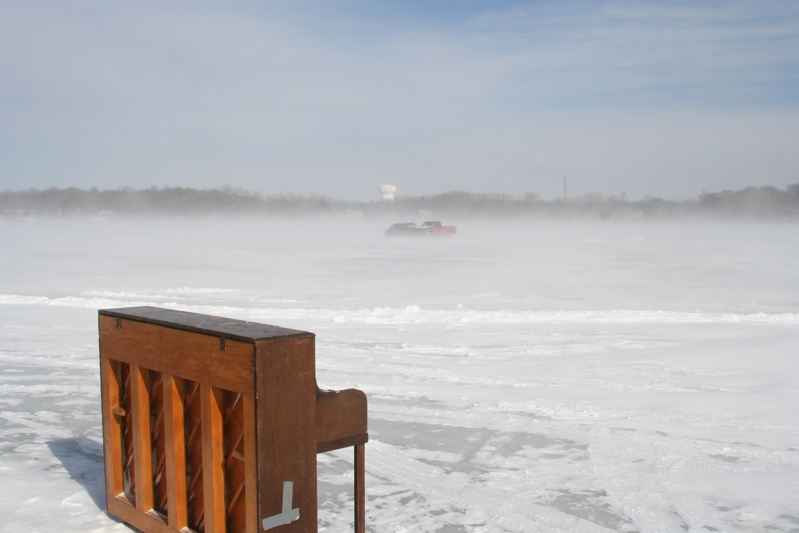 The day before the shanty was to be disassembled the piano vanished as mysteriously as it had appeared. 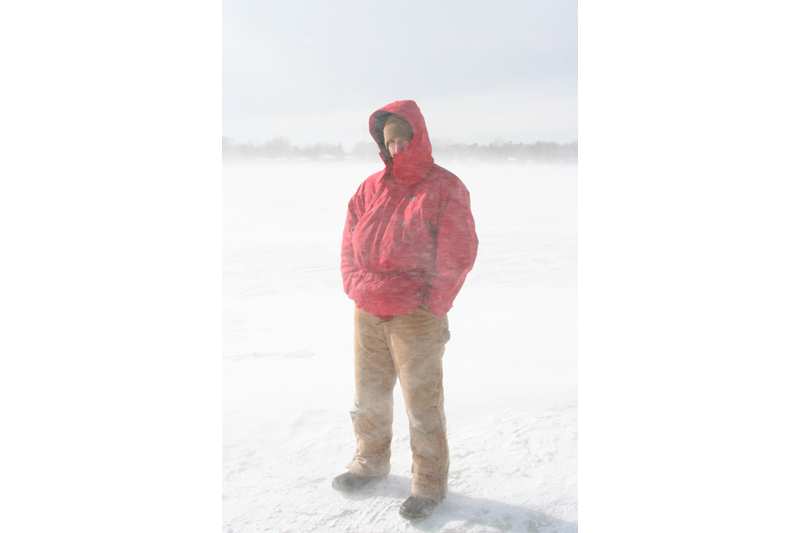 Brennan in near white-out conditions. 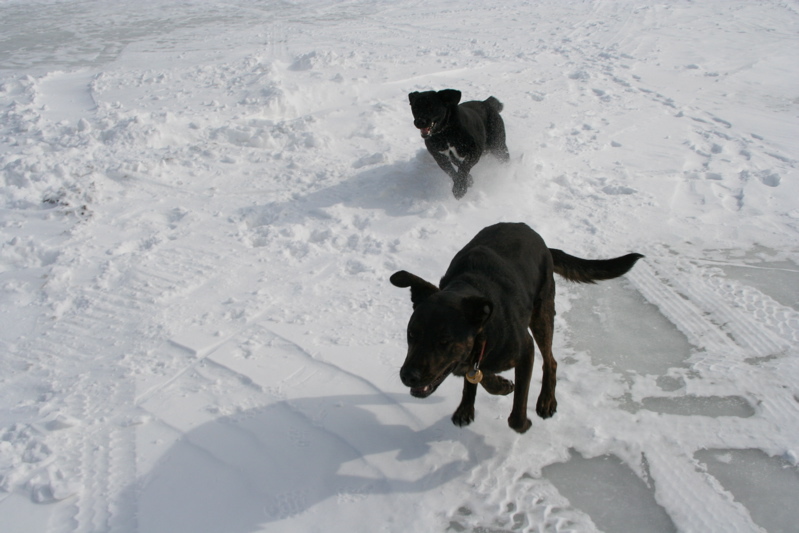 The temperature, at times, fell below -30 degrees, and averaged around 10 degrees for the duration of the project. However, the interior of the shanty was suprisingly warm, reaching temperatures well above 75 degrees.